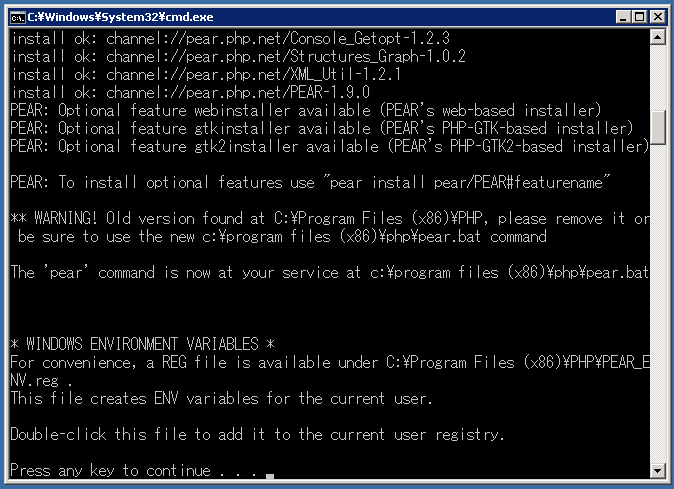 Once you have installed PHP, navigate to the folder in which PHP is installed, and look for go-pear.bat. 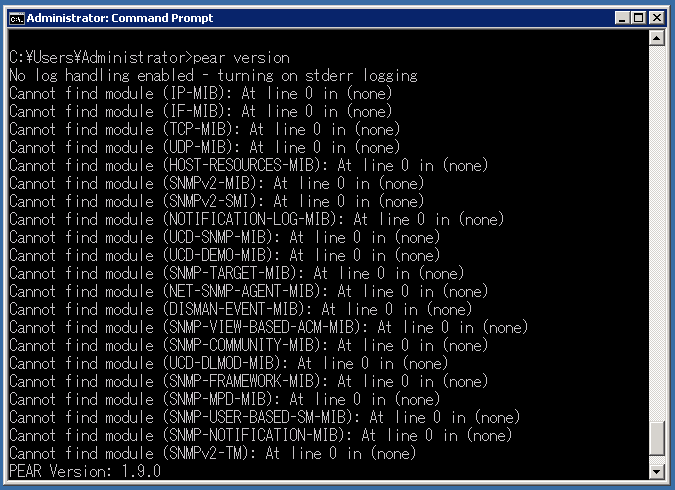 Run this batch program in shell, taking care in selecting the options for your installation. Depending on your needs, you may or may not have to change any of the default values. In my case, there was no need to change any of the default values. Several Enters later you would have completed the PEAR installation. I ran into some problems while trying to get PEAR working. Firstly, I kept getting an error telling me that there was a syntax error. Syntax error, unexpected '(' in Unknown on line 14. This usually means it’s a script error, and it’s usually a simple “misunderstanding” where PHP “incorrectly” processes a line. Notice the single and double quotes. The double quotes keeps shell happy, while the single quotes are for PHP to use. This simple trick helped me fix one problem. 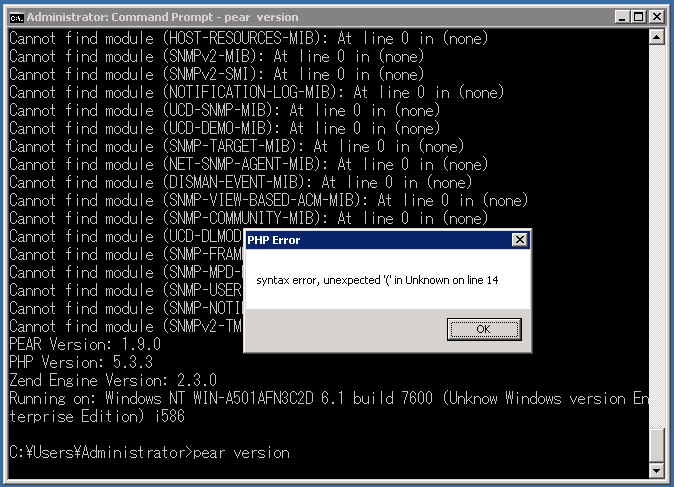 The next problem was that whenever I try running pear in shell, I was getting this error telling me that OCI.dll is missing. 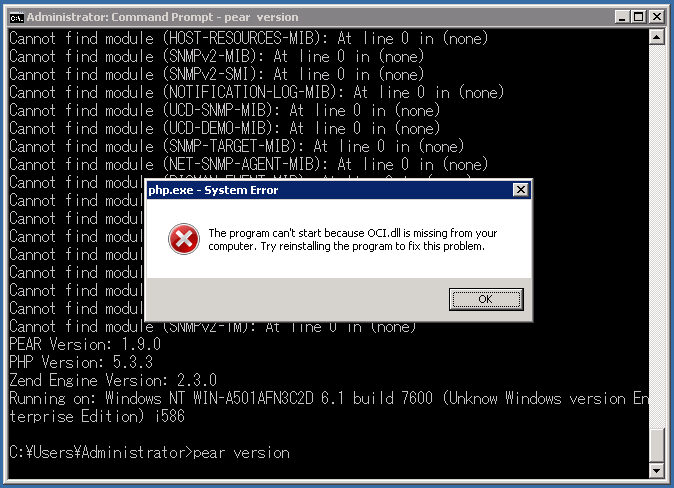 The program can't start because OCI.dll is missing from your computer. Try reinstalling the program to fix this problem. That solved another problem. I don’t know what OCI is, but I hope it’s not needed for any of the work I need PHP to do. Finally, the last problem is that shell was spewing out a bunch of errors telling me that PHP couldn’t find several modules, as you can see in the image below. It turned out that quoting the following line helped solve this problem. Again, PHP was attempting to call out modules that don’t exist. I don’t have SNMP installed on my IIS server because I don’t think I need the SNMP feature for any of my current projects. So it should be OK to disable it. Besides, I haven’t had any problems so far. I believe this also applies to OCI. Maybe I should just disable all the modules I don’t need, instead of leaving them enabled. But due to my limited knowledge of PHP, I don’t really know which modules actually matter. Anyway, I hope this tutorial has helped setting up PEAR on your IIS server. If you have any suggestions and comments, please leave a message. It’s nice to learn something new every day.